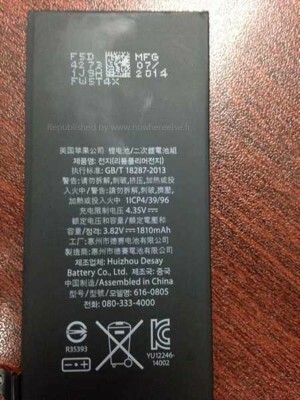 New photos showing something very similar to the battery for the 4.7-inch iPhone 6 appeared on the Internet earlier today. 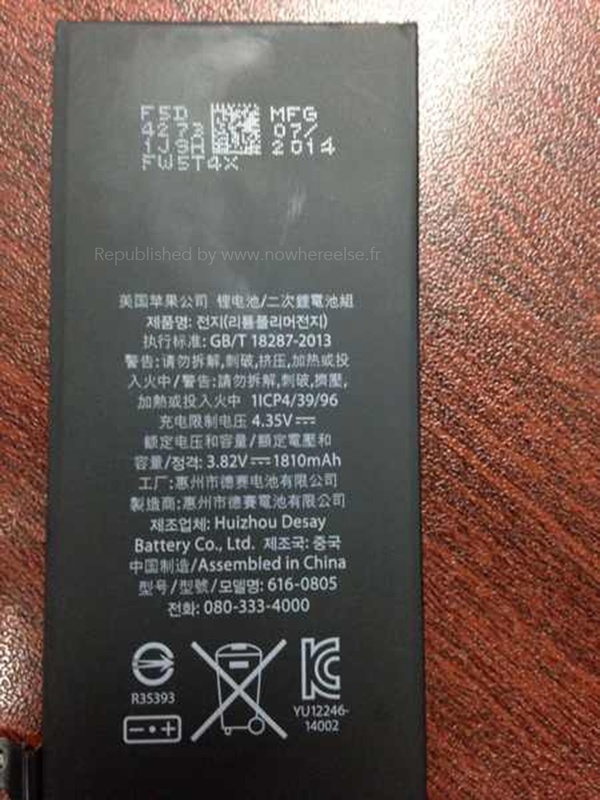 As you may see on the image below, the battery has a capacity of 1,810 mAh. 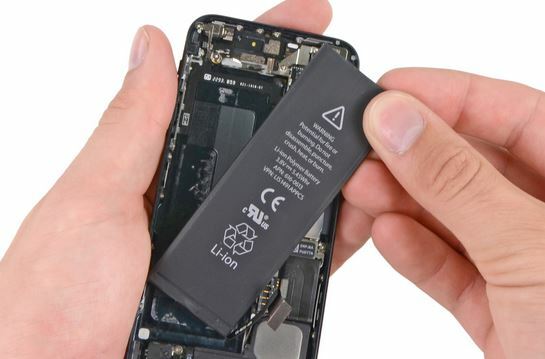 If to compare this battery to the battery found inside of the iPhone 5s, we may see that its capacity only slightly higher as the capacity of the current Apple’s smartphone. 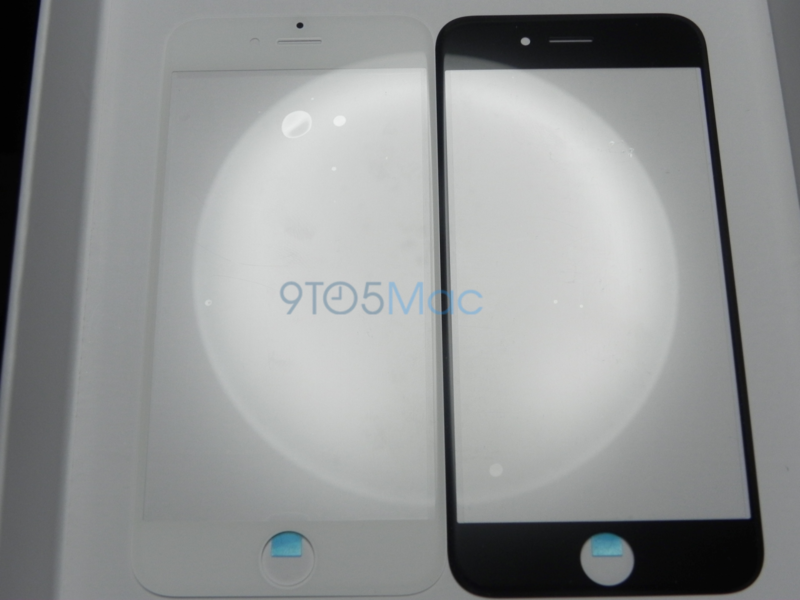 A couple of images showing something very similar to the Touch ID fingerprint sensor for Apple’s iPhone 6 surfaced on the French website Nowwhereelse.fr. 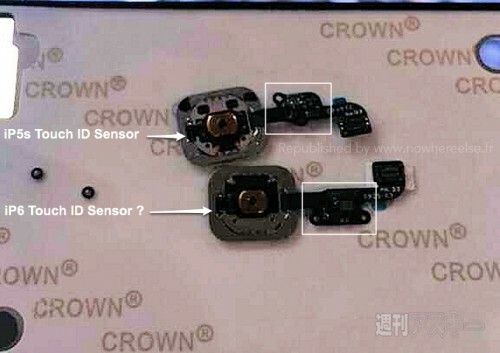 As we may see on the photos, the leaked part looks similar to the sensor found inside of the iPhone 5s. Apart from the sensor, there’s also a flex cable. As you probably know, Apple has encountered some manufacturing problems, which made the company postpone the release of the 5.5-inch iPhone 6. According to the latest rumors, these problems are connected with the production of the ultra-thin battery for the device. 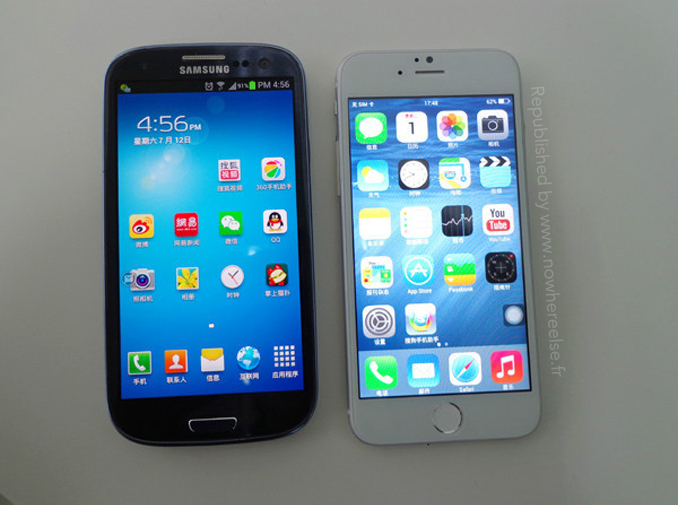 Photos showing first working iPhone 6 clones have recently surfaced on the Internet. The device depicted on the mages is based on the leaked schematics and components that began appearing on the Internet several months ago. According to what nowhereelse.fr writes, what we actually see is a device assembled by an unknown Chinese firm, which is working on Android. It would be interesting to see how Apple reacts to this model. Another iPhone 6 part appeared on the Internet today. It’s an LCD shielding that separates the display from other internal parts of the smartphone. 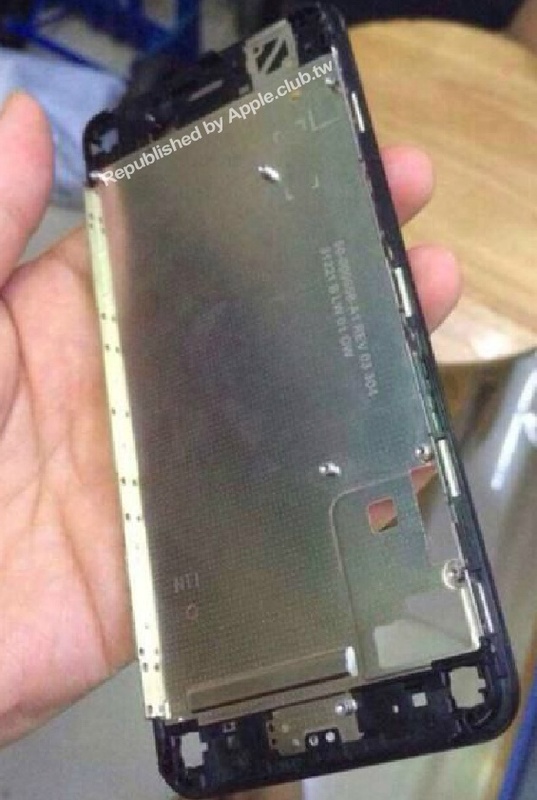 While it is still unknown if the part from the image is original or it’s just a mockup, it looks similar to the LCD shielding found in Apple’s iPhone 5s. 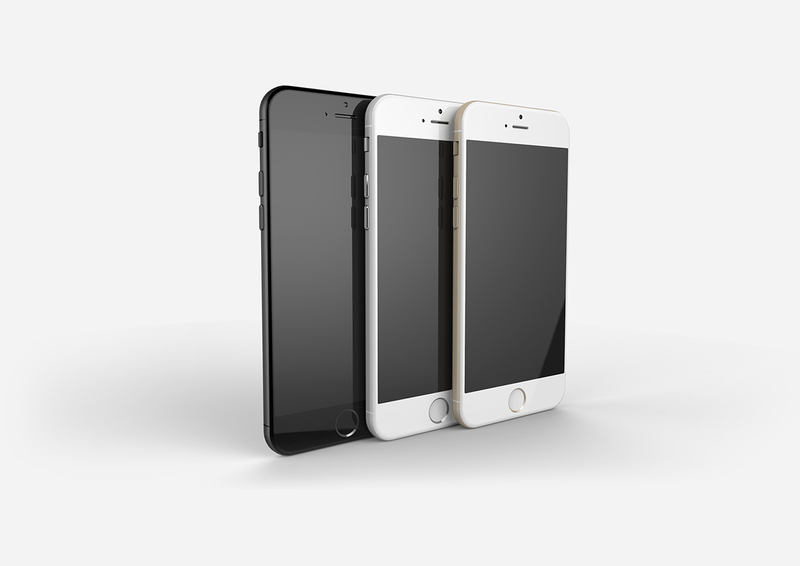 The main difference is the size: the leaked part is larger, which indicates that it is designed to fit the 4.7-inch iPhone 6. Take a look at the photo below and you’ll understand what I mean. It is always hard to choose good stereo system for home or office use. With growing popularity of smart devices, like iPhone or iPad, most users demand wireless features, for example, bluetooth support. 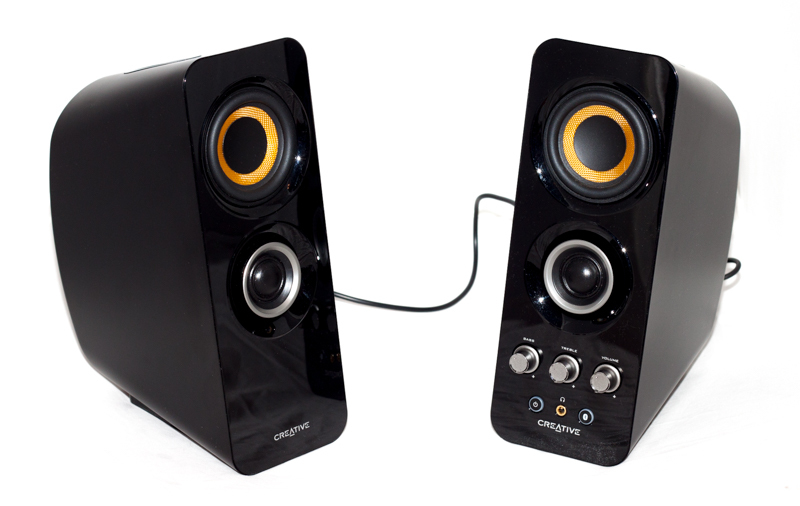 Today we will take a look at Creative T30 Wireless - 2.0 Wireless Speakers with NFC. 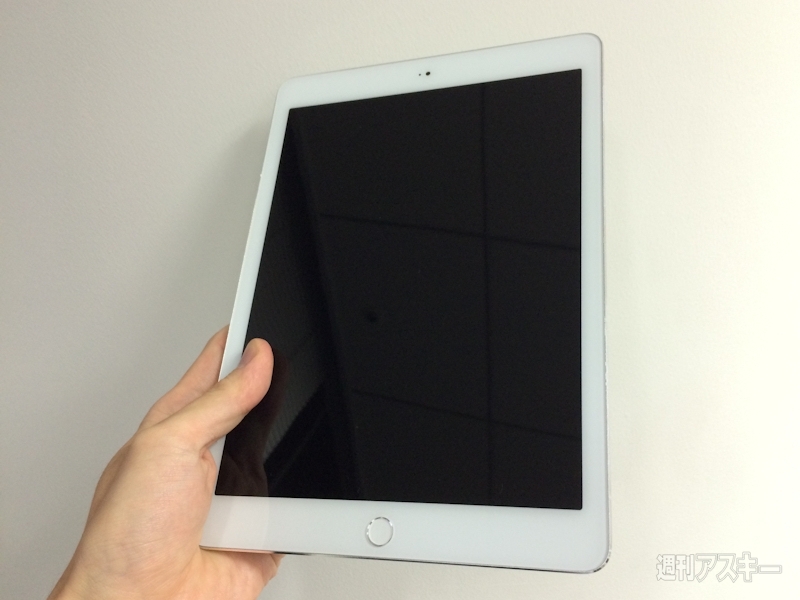 While the quality of this device is quite good, the price is attractive as well. You can get one for about $200. A couple of images showing something similar to Apple's iPad Air 2 have recently leaked online. What we can see on the photos is probably a non-working dummy. There's no way to check whether these photos are genuine or not. All I know is that they have been first spotted on ascii.jp. A couple of iPhone 6 renderings showing a space gray, silver and gold models appeared on the Internet earlier today. The renderings seem to be based on the recent leaks connected with the specs and the design of the upcoming handset. 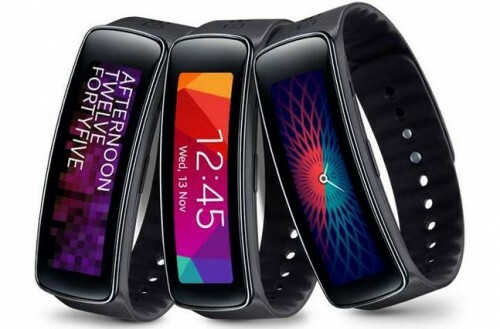 Microsoft to Release Fitness Band Compatible with iOS? As you probably know, Microsoft is working on its own smartwatch. This wearable device, however, will differ greatly from the rivals' products. According to a well-known Windows blogger Paul Thurrott, Microsoft's smartwatch is actually a cross-platform fitness band. What this means is that the small gadget will be compatible not only with Windows Phone, but also with Android and iOS. Moreover, just like Apple's iWatch, it will feature a number of health and fitness-related sensors. 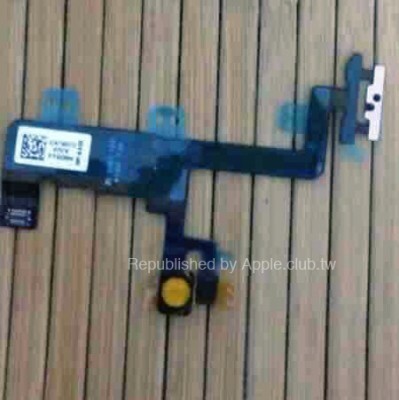 Photos showing the alleged volume and power button flex cables for the upcoming iPhone 6 have recently appeared on the Internet. What is interesting about these flex cables is that they are separated. This indicates that the guys from Cupertino may indeed relocate the volume button, as it was rumored earlier. In case you don’t know, some Asian insiders claim that the power button will be placed to the right hand side of the smartphone. 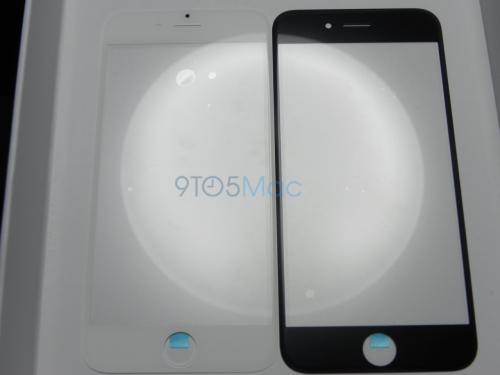 Several photos showing something very similar to the 4.7-inch iPhone 6 front panel have surfaced online. Whether we can believe these images or not is still a question, nevertheless, you may take a look at them below. A new video showing something similar to the rear casing for Apple's upcoming 5.5-inch iPhone 6 has recently appeared on the Internet. Whether the leaked part is original or this is just a mockup is still a question. Anyway, the video is available below, so you can take a look. 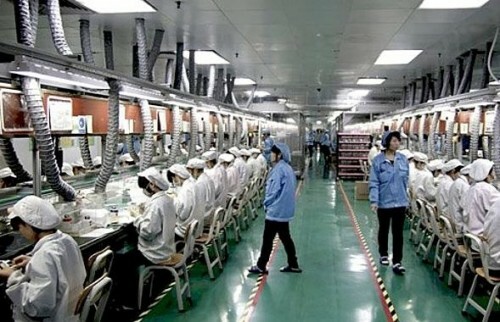 Foxconn and Pegatron Hiring New Workers to Assemble iPhone 6? According to the latest report from Reuters, Apple's main manufacturing partners, namely, Foxconn and Pegatron, are currently hiring new workers for the production of the next-gen iPhone, which is expected to begin in July. 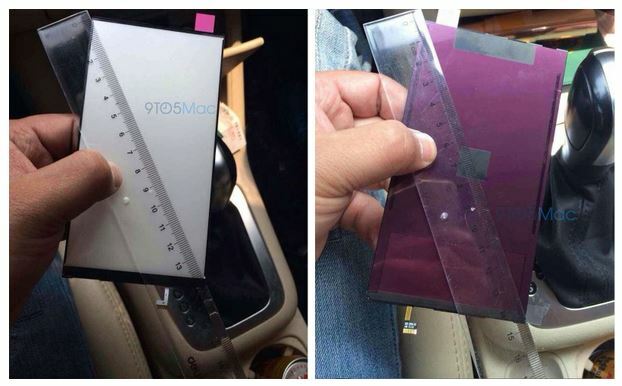 Sonny Dickson has recently shared a couple of images showing something similar to the 5.5-inch iPhone 6 LCD display component. The leaked part is pictured attached to a ruler, which indicates that the size of the screen is about 14 cm or 5.5 inches. This goes in line with all the rumors that appeared on the Internet earlier. Apple on Tuesday released the second beta of OS X Yosemite 10.10 to developers for testing. This happened nearly two weeks after the release of the first beta-version.